WASHINGTON – NASA is making a new, and perhaps final, attempt to restore contact with the Mars rover Opportunity, which has not communicated with the Earth for more than six months. 25 that it was transmitting a new set of commands to address what it acknowledged were "low-likelihood" events that could have kept the rover from contacting Earth. These new efforts are in addition to the months-long "sweep and beep" of transmitting other commands and listening to a reply from the rover. The new commands address scenarios where the rover's primary X band radio has failed or both The primary and backup X-band radios have failed, as well as cases where Opportunity's internal clock has an offset affecting its timing. The commands direct the rover to switch to the backup X-band radio or use its UHF transmitter to contact Earth, as well as its reset. Those scenarios could explain why the rover has failed to contact Earth, but project officials acknowledge That scenarios are unlikely. "A series of unlikely events would have to be transpired for any one of these faults to occur," JPL noted in the statement about the new campaign. Opportunity last contacted Earth planet, the skies above it and deprived of solar power. A late August, skies finally cleared, NASA announced a 45-day campaign to try and restore contact with the rover. That plan was criticized by some, including forms engineers involved with the Mars Exploration Rovers program, as being too short. In late October, that initial 45-day campaign was drawing to a close, JPL announced it was extending the campaign through at least January. 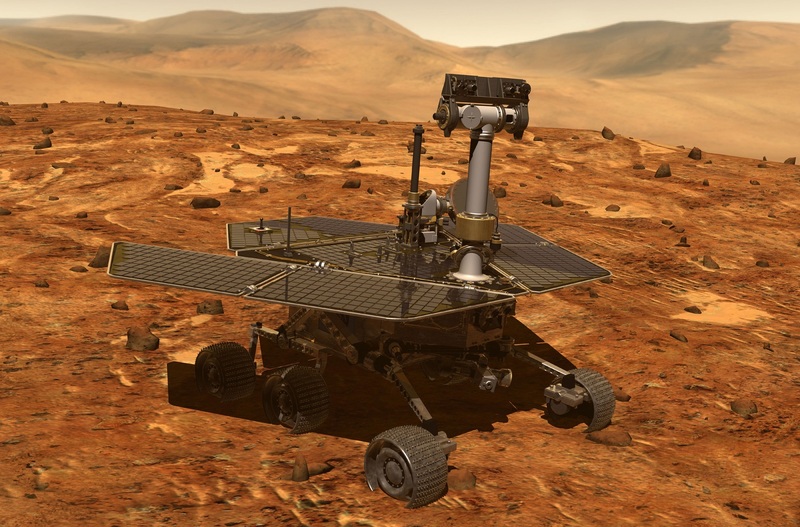 Project officials hoped that increasing winds at the rover's location could remove any dust that accumulated on the rover's panels, restoring power. However, the windy season is now ending in that region, which is now entering winter. That will bring with it less sunlight than well as low temperatures that could cause "irreparable harm" to the rover's electronics, JPL said. "While we have not heard back from the rover and the probability that we will ever be decreasing day, we plan to continue to pursue every logical solution that could put us back in touch, ”John Callas, Opportunity project manager at JPL, said in the statement. The JPL statement said the new campaign to contact the rovers will last "Several weeks" but was not more specific. "If Opportunity does not respond, the project team would again consult with the Mars Program Office at JPL and NASA Headquarters to determine the path forward," the center stated. 5 and runs the risk of another shutdown if a budget deal is not reached by then, which would delay a decision by NASA Headquarters on the rover's future. JPL announced the new effort to contact The rover's landing on Mars was originally intended for a 90-day mission. The rover operated for more than 5,000 days prior to release contact last June, traveling more than 45 kilometers across the surface. Callas, in a separate statement about the anniversary, noted the "bittersweet" nature of the milestone given the lack of communications with the rover. "We are doing everything in our power to communicate with Opportunity," he said, "but as time goes on, the probability of a successful contact with the rover continues to diminish."